On a cutting-edge science edition of After Hours AM/America’s Most Haunted Radio — scintillating paranormal talk Thursdays 9-11pE with hosts Joel Sturgis and Eric Olsen — we talk with creators Dr. Biju Parekkadan and Jay Webb about their lavish new graphic novel series Legend of Sumeria. We talk with Biju and Jay at 10pE; at 9pE Joel and Eric review the latest paranormal news from the America’s Most Haunted Twitter feed. The fascinating hard science of the human genome is interlaced with questions of humanity, spirituality, ethics and the bonds of love in a fast-paced, groundbreaking new graphic novel. 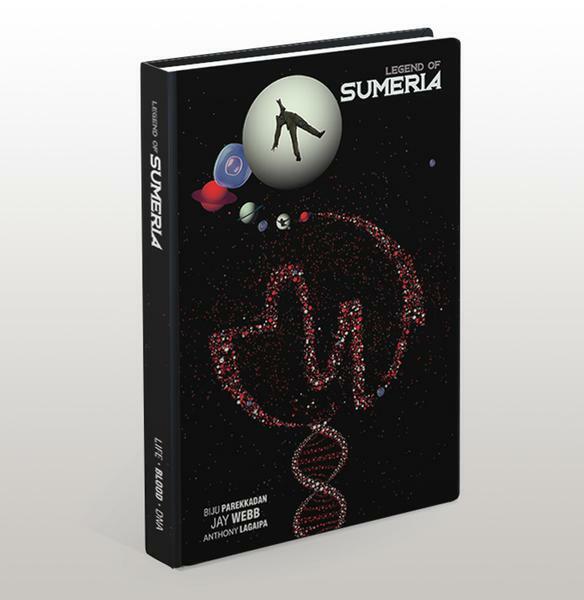 Legend of Sumeria – Life ▪ Blood ▪ DNA by Jay Webb and Biju Parekkadan, PhD grapples with belief, science, and fiction in a beautifully-rendered future not so distant from a present. A powerful biotech company launches SEQ, the first social network to integrate genetics into the fabric of society and e-commerce, begins the story and draws the reader into a complicated web of human drama and scientific intrigue. “It’s not just the next internet, it’s life by your own code,” reads one SEQ tag line. An unethical experiment activates a “cancer” gene altering human evolution forever. It may be more than just human evolution that’s in danger when Tessa Jones, the first human engineered with the ability to breathe without oxygen, shepherds a space expedition that encounters a fascinating tribe of extraterrestrial “silverbacks” that lead a nomadic, subsistent life contrary to human society. The technology and societal infrastructure in Legend of Sumeria’s series of books are based on true-to-life emerging science, and are only accentuated by their frightening plausibility. Human genome collection through DNA Testing is a real thing. The SĒQ Network uses personal genetic data for targeted online experiences and advertising…it’s not just the next internet, it’s life by your own code. The Tigris gene therapy eliminates the risk of infectious disease for those who can afford it, but how might this effect the psychology of modern civilization? A rogue planet has somehow joined Earth in orbit. Humans will always only be as alone in this universe as they believe themselves to be. A mysterious symbol arises during a bio-terrorist attack. Might it have something to do with the strange occurrences in civilization or the universe? 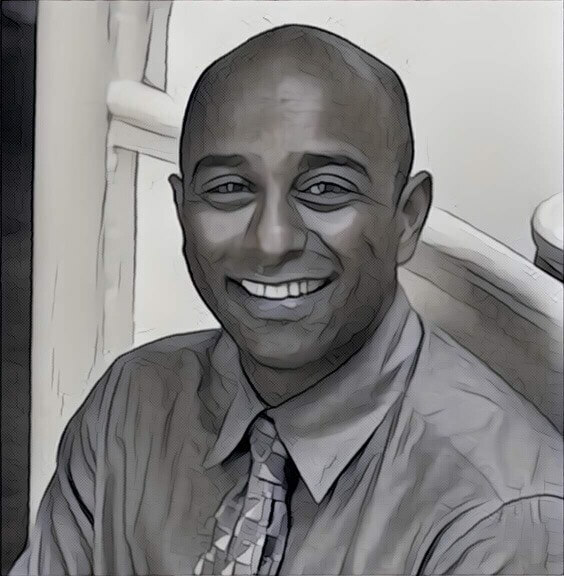 Dr. Biju Parekkadan is a Professor of Biomedical Engineering with a laboratory that specializes in cell, gene, and tissue engineering. His discoveries have been published in prestigious journals with patented inventions that have led to the foundation of several companies. He received his bachelor’s degree from Rutgers University and a doctorate from the Harvard-MIT Division of Health Sciences and Technology. In 2012, he was recognized by President Obama with an Early Career Award for Scientists and Engineers, the highest honor bestowed upon young researchers in the country. Dr. Parekkadan’s daily work in biotechnology research and education provides a unique perspective in the creation of the viable science behind Legend of Sumeria. 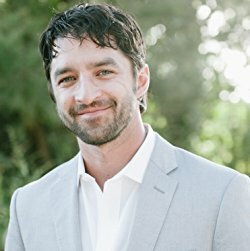 Jay Webb began his unique path with the launch of a successful film production company in 2004, where he was lead producer on independent feature films that received distribution through Lionsgate and HBO. Since then, his passion for creating has led him to an array of roles in industries ranging from non profits, to eco-tourism, to home design, to 3D presentation development. This is his first published writing, but proposes that “creating something you truly think is important always has the chance to inspire others to do the same, and that is what life is about. Getting to create with a best friend is just the universal icing.” Jay brings years of production and design experience that help to embed the Legend of Sumeria series with an artistic, human touch.